All money from taxes and fees goes in the middle. If you land on Free Parking, you take it all for yourself. $500 goes in the middle at all times for free parking. You can buy houses instantly; no need to collect all same colored properties before purchasing houses. If you land on go, you collect $250 instead of $200. If you’ve ever played Monopoly, you know that these rules are totally made up and designed to make the game go more quickly. 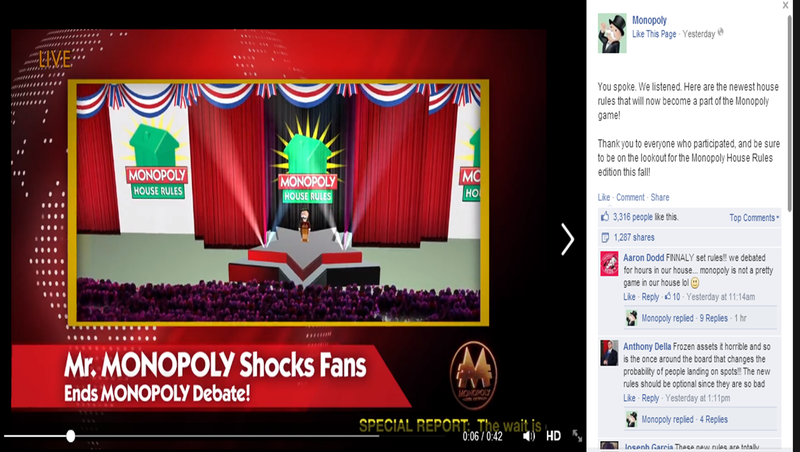 On March 25, 2014, Monopoly launched a really engaging campaign on Facebook asking fans to post their house rules. According to Monopoly, 68% of Americans do not read the instructions. This is a great example of a well executed campaign and the brain behind it deserves big kudos for the brand engagement it drove. The most amazing part to me is that there was no prize offered. It proves how iconic this game is and how a simple board game can unite or divide a house hold. They sold nothing to consumers, yet the board game rose to the top of consumers’ mind awareness. In comparison to their stunt last year, in which consumers were asked to vote on what Monopoly piece to retire and add, this most recent campaign allowed more engagement and brand awareness; or, maybe I’m just bitter because I’m not a cat fan. Overall, I think this was a great campaign for this iconic brand. I feel very relieved to know that I am not crazy. Ever since December, I’d noticed a significant decrease in my page’s Reach statistic on Facebook Insights. I felt alone in this situation because for months I’d researched online to see if anyone else was seeing the same problem and found nothing recent. Many people had written about the subject, however, they referenced the time period when Facebook introduced Promoted Posts in the late summer of 2012, alluding to the fact that Facebook decreased Reach on purpose to increase participation in Promoted Posts. This is not true and it was not reflected on my page. Around Christmas, I noticed a significant decrease in my Page’s Reach. I manage a fairly small-ish page, but was consistently seeing a reach of 300-400 every post I shared and felt comfortable with that number. Late December, our average reach began dipping below 100. That was scary. Our Page Likes continued to increase and engagement was higher than ever, but still less than 100 people were seeing my post every day. I began test posting at different times of the day and days of the week. I found a few sweet spots that got me back to the 300 reach range, but it wasn’t consistent. I’d nearly given up when I logged on to Facebook last Friday to see this an article from AllFacebook, “Facebook Bug Caused Pages’ Reported Reach to be Lower” and found a video explanation from Facebook Studio. The awkward lady in the video vaguely describes that their insights were misrepresented, but mostly encourages Facebook page managers to keep an eye on their own stats (because sometimes Facebook messes things up big time). Side note, how creepy is she?! Over the weekend, I was ecstatic to see my average post reach back up to 300 with my highest post reaching over 1,100 people. I wasn’t crazy. There was a reason behind my reach decrease. I was really beginning to think I was messing everything up on my end. It’s nice to know I can blame someone else, but even nicer to see it return to normal. Facebook has changed a lot in the last year and is still experiencing a lot of trial and error. As the video states, it is important to keep track of your statistics whether on Facebook, or another platform. It is, after all, the responsibility of the community manager to manage the community and understand its strengths and weaknesses. Luckily, through this “experience” I have discovered a new sweet spot for the time of day to post that will prove even more effective with these bug fixes. The biggest bonus is, as I have mentioned, I now know that I’m not crazy! Was your page’s insights’ affected? I’ve always been stingy with my money. If I go shopping with friends, you can count on me to head straight to the back where the sales are. I’m the same with a budget at work. As a former nonprofit employee, I am very conscious of spending money and always look for ways to avoid it. Polldaddy– Polldaddy can do anything. We originally purchased it for surveys because it allowed us to download an application for our iPads, but it’s proved to be a endless resource. Our website didn’t have the ability for people to upload photos. Using Polldaddy’s photo upload feature on a survey, I grabbed the code they provide and embed it on my website. I’ve yet to come up with a task that requires gathering customer information that PollDaddy cannot accomplish. There is a free version, but as much as I use it, the paid version is way worth the money. ShortStack– As you know, Facebook has strict rules for companies that want to run any contest on their Facebook page. Basically, you aren’t allowed to do anything unless you use a third party application/platform and disassociate Facebook with any connection to the contest. Shortstack is the best free application I’ve used. It has minimal branding, templates and lots of features to choose from. This also has a free and paid version, but by combing Polldaddy and ShortStack, I’ve managed to survive with the free version. HootSuite/TweetDeck– You know about these. I think HootSuite is the easiest to use on my phone and during the day at work, but TweetDeck I like that TweetDeck is a desktop feature so it has a small popup anytime someone mentions my brand. Tweet Deck also catches some interactions, such as who retweeted your post, that Hootsuite does not. I always have them both open! Facebook Pages– this is an application for smart phones and iPads. Until recently, it was only developed for iPhone users, but as soon as they released the Android app I downloaded it. I love it because it sends a push notification to your phone every time someone comments on your page. This makes monitoring on the weekends and after work so much easier. If there is an emergency, I will find out about it much faster than just randomly checking in every once and a while. I also like that it is separate from Facebook application so I don’t risk posting personal stuff on my company page. Additionally, it lets you look at insights which the Facebook application does not let you do. Facebook Post Analysis Spreadsheet– I just discovered this last week. Tim Wilson has created an awesome (free) downloadable spreadsheet that will analyze your Facebook post history. It uses a color coded system show you when posts received the most engagement and another table tells you when your post reached the most people. I have discovered that when the data is exported from Facebook it uses the time you schedule the post, not the scheduled time which skews my data a little, but I still think this is a very valuable tool. Too much other research out there does not speak specifically to my demographic so I appreciate being able to analyze my own data with this spreadsheet. I remember applying to college and finding out I was accepted, via email, just a few days later. I was disappointed. I had watched the college acceptance process on TV shows and in movies and assumed I would wait in agony for weeks until a bulky or thin letter from the university determining my fate would arrive. Instead, a simple congratulatory email, discovered after school in the journalism room, was all I received. I didn’t even get a chance to hold my breathe before opening it! Then, I was disappointed in the speed of information because I felt like it degraded my value- as though nothing about my history was being considered. Now, I thrive on this fast-paced delivery of information and drain my battery before the day ends by simply checking email, Facebook and Twitter. The good news is, my obsession for knowledge is not isolated. 48 percent of people between the ages of 18 and 34 check Facebook when they wake up in the morning and 28 percent before they get out of bed (guilty!). Is the increased speed of information flow dangerous or a positive change? For me, it can be stressful and overwhelming. It’s the worst for me when I know an important email is coming, but not when. I assume this is what it was like for students applying for college in the olden days (you know, a few years ago), only worse because we are used to having information at the exact time we want it. Three years ago, I successfully gave up Facebook for Lent. Could I do that today? Then, I was a sophomore in college so Facebook really only served as a distraction from homework. Since then, Facebook created groups and chat, which was imperative to many group projects. In fact, one day I had to park so far away from my multi-media journalism class that I went to a different computer lab and worked with my group members through our Facebook group instead of wasting 15 minutes walking to class. Even now, as a hopeful PR girl whose future career will most likely involve the use of Facebook on a daily basis, the thought of not having access to social media or the Internet seems impossible. To step away from the information and technology is not an easy thing to do these days. Because the news is readily at your fingertips, you are expected to be more knowledgeable about the world around you-which, don’t get me wrong, is a great expectation. The challenge comes when we attempt to find a balance between information overload and general knowledge. Evaluating and separating information we need or want to know from information that is just occupying space helps to better utilize our time. Logging on to Facebook or Twitter just because you are bored or to check up/creep on old classmates is not a good habit to practice. We should live in harmony with information, rather than letting it dominate us. I 100 percent believe in the power of social media and its use for information flow, but sometimes I have to scold myself for checking my phone apps instead of enjoying the life around me. 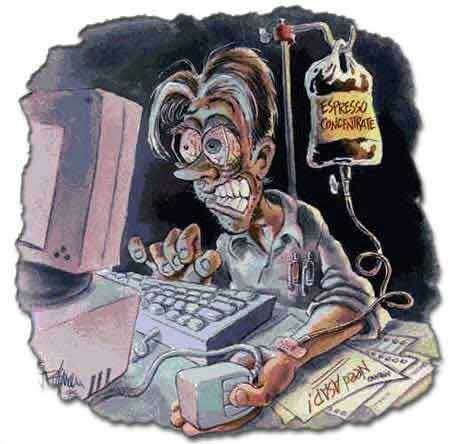 Information is an addiction and accepting it is the first step- Yes, I’m poking fun a little. But seriously, here’s some tips to keep in mind nonetheless. Read Responsibly. 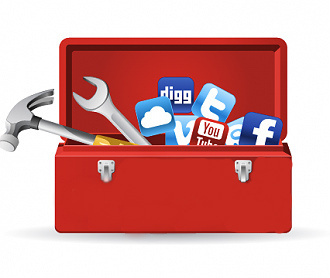 ** Update: Here is a great article from a social media curator’s point of view. How can the people creating and monitoring social media content avoid burnout? Four easy steps to avoid social media overload. I would say the following story classifies me as both nerdy and a little naughty, but hopefully Santa is not looking. The story begins on my birthday. I was excited to spend my birthday weekend in Chicago and was taking the Mega Bus both ways. At a rest stop, a girl told the bus driver that the bus was leaking on her. He said there was nothing he could do and she switched seats. At the time, I was annoyed because I remembered my brother’s first Mega Bus trip where the air conditioning went out during the summer and someone complained causing them to arrive three hours later than anticipated. I was not in the mood for that! So that was that. She got a little wet and we moved on. After my weekend, I got on the bus headed back to St. Louis and somehow managed to get my own seat even though nearly every other seat was filled. I was excited! I plugged in my phone and programmed Daniel Tosh into Pandora and commenced chillaxin. After our rest stop, the bus started moving again and I was minding my own business when the bus litterally POURED water out from the air conditioning! Stunned at first, I suddenly realized what was happening and quickly stood up to see water still pouring out from above me! I grabbed all of my belongings and asked to sit with the kid right behind me as it stopped raining. The seat was wet, I was wet, my purse was wet, my phone was wet… get the idea? Knowing the bus driver’s answer from the previous trip up, I did not say anything to the driver since there was nothing she would do. The next day, I was thinking about how social media has changed customer service and while seeing what other companies do to engage their consumers on Facebook I decided to test Mega Bus. I didn’t want to sound completely obnoxious, but wanted to complain enough that it would solicit a response. I pressed enter and waited. They posted pictures right after I posted, but no response. They liked other people’s posts, but still no response to mine. They even did another full post today, but nothing in response to mine. I’m disappointed. After dealing with this from a business stand point through my internship, I understand how annoying it is when people post silly complaints on your company’s page, but I also know how quickly and effectively we dealt with every issue. We had HootSuite and Buddy Media set up to monitor what people were posting and saying about us on Facebook and Twitter. Additionally, we checked it with our own eyeballs constantly! That was my naughty deed, but my nerdiness is shown in how much I care. Social media is a great tool to better your customer service but if all you are doing is pushing your product and not actually listening, it is not effective. For the past month I have been working for a nonprofit organization to build publicity in preparation of their second annual fundrasing event. As a promotion, we decided to run a Facebook campaign to attract more fans we could then recruit for our fundraiser. The idea was to have people post the answer to a question related to our mission on our wall. The answer with the most votes would win a prize! It was exciting because people would like our page to win a prize, engage on our page and share our page with their friends. Fun fact: Facebook has rules against all of that. And I would never of known to even check on these rules except a discussion on LinkedIn in the group PRIntern/ EntryPR that appeared in my inbox literally the day after we decided to do this contest. The biggest concern for our contest was that Facebook prohibits any use of a Facebook tool to contribute to a contest. This includes vote to win, using the wall for anything except promotion and you cannot contact the winner of a contest through Facebook message, chat or wall post. I read everything I could about Facebook contests and even attended a fee seminar on law ethics associated with social media. It seemed as though the only way to continue our contest as planned was to use a third party application. As a nonprofit organization, we could not afford to pay a third party platform to develop our contest as I had in my previous internship over the summer at an international company. I had no idea how easy we had it. So I researched companies that would do it for free. I narrowed it down to two. Let’s be honest, there were only two out there: Binkd and EasyPromos. I decided to use EasyPromos because when I emailed Binkd for examples, they had a hard time coming up with one. I also like that EasyPromos had an entire page of tips, FAQs and allowed me to upload a photo. Everything went smoothly and according to plan. In the first day we had 6 people like our page! I was excited. By the end, we had a 13% increase of fans in just one week. Not bad for a little nonprofit like ourselves! Not bad for my first solo attempt at a contest either. But this contest is what I like to call a successful failure. It was successful because we increased our fan base. It failed because only 3 people actually participated in the contest (keep in mind we had about 160 fans!). I think we asked too much of our fans. In trying to keep with our mission, it was decided that we would have the contestants enter the contest by telling us who has made a difference in their life. The question was probably too deep and the process too involved. However, I think it says a lot for our organization that we had a 13% increase during this promotion and hardly anyone entered the contest. It was a lesson that showed me how supportive our fans are of our cause and mission. They care about what we do, not what we give away. The important part of the contest results, and any contest that recruits fans, is that you create lifetime fans- of both your page and your organization. We successfully created new fans and spread the word of our organization. It was a great learning expereince and I hope by me admitting my challenges you can have a success story rather than the successful failure type. 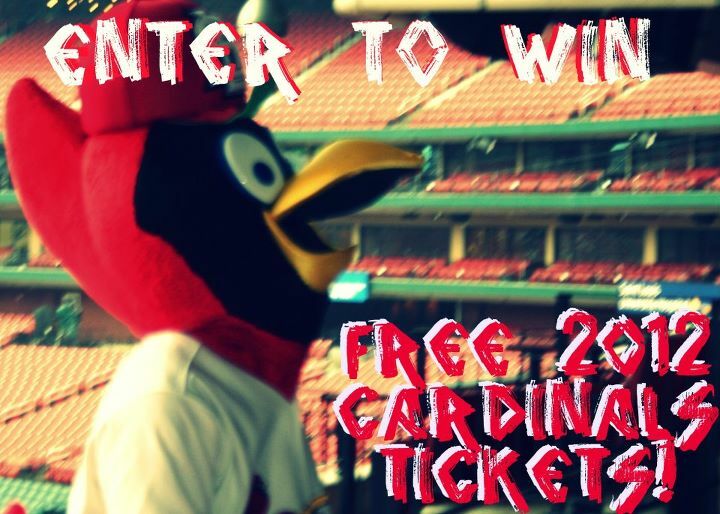 If you have questions about how we ran our contest, or how we overcame challenges, let me know! I’m happy to share what I have learned and would love to hear any stories you have as well! In the wor ld of Facebook, the “Like” button is one of the highest compliments you can give a business page. First you like the page, then you can like their content. A combination of “liking”, commenting and sharing the content means the world to companies. It means they are keeping you engaged and that their brand is important to you. So how do they keep us engaged? During my summer internship I was asked to research our competitors’ Facebook pages, as well as companies that just seemed to get it right. It was so interesting to see the variety of messages companies utilize to encourage posts. 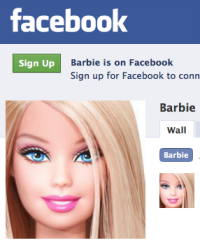 My favorite company page is Barbie’s page. After she caught my attention with the Valentine’s publicity stunt, I still find her posts just a cute and fun as ever! Barbie offers fashion and life advice, in a Barbie tone voice. Everything is “Fab, dolls”. She doesn’t even have to ask people to answer a question or like her post, they just love what she says. She’s absolutely iconic. Oreo is blowing my mind lately. I understand, they have 22 million fans, but even the most seemingly random post receives an overwhelming amount of attention! For instance, yesterday they posted “Oreos and milk,” and that was it. It received 31,110 likes and 2,648 comments. WHOA. That’s insane. Way to cleverly take advantage of our love for chocolate cookies, Oreo! Yet according to this article on Mashable, Buddy Media suggests that to increase engagement, we should ASK people to like our post and have them TELL us what they think. The above examples are so iconic that we’ll love anything they say so who is trying this ask and tell strategy? Hershey’s asks a LOT of questions on their page. They have fill-in-the-blanks, encourage “Likes” and ask questions. Do people respond? They have almost 2.5 million fans and their posts receive anywhere from 40 to 600 comments. The post that received the most was a fill-in-the-blank. 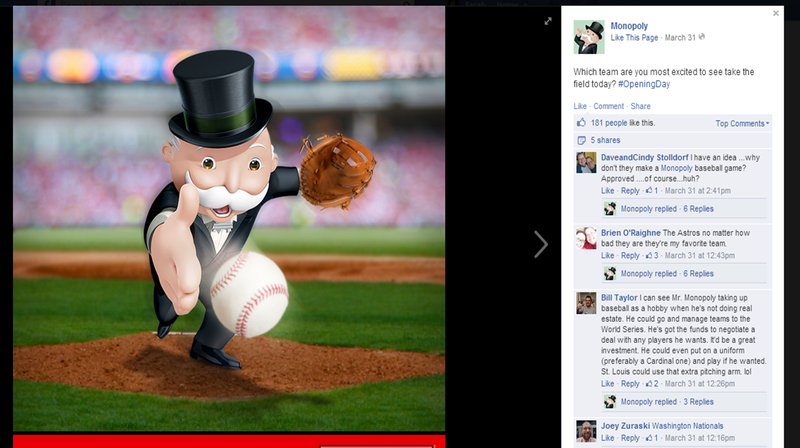 MLB is also engaging fans by asking them questions and to fill-in-the-blank. Their questions ask “What would you do?” and place fans in the position of their favorite players. Build-A-Bear Workshop has utilized this ask theory in their posts lately and has seen a significant amount of response. Most recently, they asked fans to click “like” if they knew someone with a cub on the way and 776 people clicked like. It seems that getting fans to stay engaged begins with having an excellent reputation. Why should they care? That’s the next part. Tell them why they should! Tell them what to do and tell them fun facts! Just keep it fresh and we’ll be yours forever.